I migliori Viaggi gay Torremolinos, su Travelgay troverai vacanze gay per tutte le esigenze. Qui di seguito un elenco di locali disco cruising e saune a Torremolinos - Bacchus Bear Bar - C/. la Nogalera 712 | TorremolinosProbably the best bear bar in town. Older crowd, mostly Spanish.> Gay. Exclusively or almost exclusively gay men> Bar with full range of alcoholic beverages La Barraca – Restaurants - C/. Casablanca (Pueblo Blanco) | Torremolinos> Bar with full range of alcoholic beverages> Outdoor seating, terrace or garden> Meals. Extensive menu available> Vegetarian meals on the menu La Biznaga Lounge Café Bar - Plaza De La Nogalera, Local 308 | Torremolinos - MálagaA great gay bar serving a good selection of cocktails. more> Gay. Exclusively or almost exclusively gay men> Bar with full range of alcoholic beverages> Extensive wine list Boomerang – Bars - Plaza Tientos | Torremolinos-MálagaFull range of drinks and cocktails. Complementary tapas. more> Gay and lesbian mixed crowd> Bar with full range of alcoholic beverages> Outdoor seating, terrace or garden Box Bar & Sushi - Bars - C/. la Nogalera 21 | Torremolinos-MálagaA friendly bar for bears and their admirers with a good atmosphere and good music videos.> Gay. Exclusively or almost exclusively gay men> Bar with full range of alcoholic beverages Brittas Casita – Restaurants - Centro Comercial la Nogalera Bloque 7, local 705 | TorremolinosBar with full range of alcoholic beverages> Meals. Extensive menu available Cafe El Atrio - > Casablanca 13 Planta Alta | TorremolinosPub-cafe in the center of Torremolinos, on the Nogalera, for coffee, a cocktail or a drink. It has a large terrace for smokers. moreGay and lesbian mixed crowd> Air conditioning> Bar with full range of alcoholic beverages> Outdoor seating, terrace or garden Centuryon Disco – Danceclubs - > C/. Casablanca Nogalera (Intersection with C/. Danza Invisible. Basement | Torremolinos - MálagaThe biggest gay dance club in Torremolinos.> Gay. Exclusively or almost exclusively gay men> Bar with full range of alcoholic beverages Chessa – bars - La Nogalera, Local 408 | Torremolinos - Málaga> Gay. Exclusively or almost exclusively gay men> Bar with full range of alcoholic beverages Chicago Karaoke – Bars - > Calle Danza Invisible, 8 | Torremolinos> Bar with full range of alcoholic beverages Codigo Bar – Bars - La Nogalera, Local 408 | TorremolinosLarge terrace with friendly waiter Service.> Gay. Exclusively or almost exclusively gay men> Bar with full range of alcoholic beverages> Outdoor seating, terrace or garden Large terrace with friendly waiter Service. more Contacto – Bars - C. C. La Nogalera 204 | TorremolinosSpanish folk performances from the bar owner. Funny, friendly atmosphere.> Gay. Exclusively or almost exclusively gay men> Air conditioning> Bar with full range of alcoholic beverages> Outdoor seating, terrace or garden> Shows or other events> Video shows Eden Beach Club – bars - > Paseo Maritimo, Playa Bajondillo | Torremolinos - MálagaLocated on the beach.> Gay. Exclusively or almost exclusively gay men> Bar with full range of alcoholic beverages> Showers> Outdoor seating, terrace or garden> Solarium Emporio – Danceclubs- C/. Casablanca, C. C. La Nogalera (At C/. Danza Invisible, bloque 6, downstairs) | Torremolinos> Gay. Exclusively or almost exclusively gay men> Air conditioning> Bar with full range of alcoholic beverages La Esquina – Bars - Pueblo Blanco, 39 | Torremolinos> Gay and lesbian mixed crowd> Bar with full range of alcoholic beverages> Outdoor seating, terrace or garden Free Eagle – Bars - C/. Danza Invisible, La Nogalera 409 | TorremolinosFor bears and admirers> Gay. Exclusively or almost exclusively gay men> Free WiFi> Air conditioning> Bar with full range of alcoholic beverages> Showers> Outdoor seating, terrace or garden> Darkroom> Video shows Fulanitas y Menganitas – Bars - Pasaje Fandango, local 8 Pueblo Blanco | Torremolinos-Málaga> Gay and lesbian mixed crowd> Bar with full range of alcoholic beverages El Gato Lounge – Bars - > Paseo Maritimo 1 in front of Beirola gay beach of Torremolinos, between hotel Melia costa del Sol and Santa Clara. | TorremolinosStylish lounge bar and restaurant, good food and wine, great terrace in front of gay beach of Torremolinos. Friendly staff. Also beach service.Gay. Exclusively or almost exclusively gay men> Air conditioning> Bar with full range of alcoholic beverages> Outdoor seating, terrace or garden> Meals. Extensive menu available Kitch Vintage – Bars - > C/. Casablanca, 5 | TorremolinosBar with full range of alcoholic beverages> Outdoor seating, terrace or garden Mama Bar - c/ Danza Invisible, La Nogalera 3 (Opposite Gato Lounge) | TorremolinosGay. Exclusively or almost exclusively gay men> Bar with full range of alcoholic beverages Manhatten Bars - La Nogalera | TorremolinosGay. Exclusively or almost exclusively gay men> Air conditioning> Bar with full range of alcoholic beverages Men's Bar - Men's Clubs La Nogalera, 714 | TorremolinosA big cruising bar with action videos and a big underground area to play.> Gay. Exclusively or almost exclusively gay men> Bar with full range of alcoholic beverages> Darkroom> Video shows Morbos – Bars - La Nogalera, 113 | TorremolinosShow 23h. Cruisy darkroom!> Gay. Exclusively or almost exclusively gay men> Bar with full range of alcoholic beverages> Outdoor seating, terrace or garden> Darkroom Parthenon – Danceclubs - C. C. La Nogalera, 716 | Torremolinos Gay. Exclusively or almost exclusively gay men> Bar with full range of alcoholic beverages> Outdoor seating, terrace or garden> Darkroom> Shows or other events> Video shows Passion – Danceclubs - > Av Palma de Mallorca, 18 | Torremolinos> Air conditioning> Bar with full range of alcoholic beverages La Piazetta Restaurant – Restaurants - C/. Danza Invisible, Pueblo Blanco | TorremolinosBar with full range of alcoholic beverages> Meals. Extensive menu available> Vegetarian meals on the menu Querell Cruising Bar - Men's Clubs - C/. Carlota Alessandri, 145 | Torremolinos> Gay. Exclusively or almost exclusively gay men> Air conditioning> Bar with full range of alcoholic beverages> Non-smoking area> Darkroom> Glory holes> Sling> Free condoms> Shows or other events> Video shows El Sabor – Restaurants - C/. Casablanca 20 | Torremolinos> Bar with full range of alcoholic beverages> Meals. Extensive menu available tetería albanta – Cafes - C/. Casablanca 18 Pueblo Blanco | Torremolinos> Gay and lesbian mixed crowd> Bar with full range of alcoholic beverages The Times – Bars - La Nogalera, local 505 | Torremolinos> Gay. Exclusively or almost exclusively gay men> Air conditioning> Bar with full range of alcoholic beverages Vida – Bars - C/. Danza Invisible, La Nogalera, Local 523 | Torremolinos> Gay. Exclusively or almost exclusively gay men> Bar with full range of alcoholic beverages Wonderland – Bars - C/. Danza Invisible, La Nogalera, Local 522 | TorremolinosGay. Exclusively or almost exclusively gay men> Bar with full range of alcoholic beverages XS Dresscode Men's Clubs - C/. 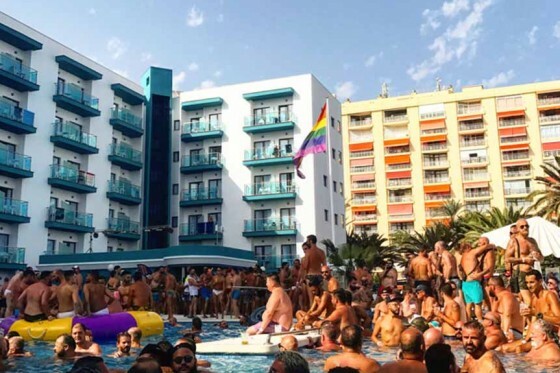 Casablanca, La Nogalera | Torremolinos> Gay. Exclusively or almost exclusively gay men> Air conditioning> Bar with full range of alcoholic beverages> Outdoor seating, terrace or garden> Video shows Atlas Sauna C/. Casablanca, 17 | Torremolinos - MálagaGay. Exclusively or almost exclusively gay men Bar with full range of alcoholic beverages Plunge pool Relax room Dry sauna Steam bath Massage on offer DarkroomFormer Utopia. Modern and clean sauna, the perfect place to relax and chill out. Staff are always friendly and drinks are reasonably priced. Termasauna Miguel Av. Carlota Alessandri, 166 (10 mins from centre) | TorremolinosGay. Exclusively or almost exclusively gay men Air conditioning Bar with full range of alcoholic beverages Showers Outdoor seating, terrace or garden Swimming pool Relax room Dry sauna Steam bath Whirlpool / Jacuzzi / Hot tub Free extra towels Massage on offer Darkroom Glory holes Free condoms Video showsA wonderful and cruisy 1240 m² sauna. The best time to visit is on Sun. Great friendly staff who speak various languages. Poco distante dalla città di Malaga, Torremolinos è una località che offre al turista gay tante alternative di divertimento. - Ad appena un quarto d' ora da Malaga cittá, Torremolinos é una localitá che offre al turista omosessuale tante alternative.Molti gay e lesbiche decidono di trascorrere le loro vacanze o un semplice weekend a Torremolinos, approfittanto della zona di La Nogalera, in pieno centro cittá, dove si trovano numerosi locali, bar e discoteche di tendenza gay.In qualsiasi stabilimento di La Nogalera potrete ottenere una mappa che vi indicherá l' ubicazione esatta di tutti i locali gay della cittá.Potrete ad esempio dirigervi alla Sauna Miguel, che dispone di una grande jacuzzi abilitata per 25 persone, oppure cenare nei ristorante Poseidon o ne El Gato Lounge, una terrazza gay che é un gran posto per "tapear".Ad appena 3 km dal centro cittadino é presente anche una spiaggia nudista per gli amanti del naturismo.Discoteche come il Paradise o il Parthenon offrono divertimento e relax durante tutta la notte.Torremolinos gay: una garanzia di divertimento fin dagli anni ’60. Partita come una delle tante mete della Costa del Sole, oggi è il centro dei viaggi gay in Andalusia. Che sia per un’intera vacanza o per un semplice weekend, la città garantisce divertimento e relax.La città si trova a pochi chilometri dalla molto più famosa Malaga, alla quale ha ben poco da invidiare. Torremolinos offre infatti tutto ciò che può servire per una vacanza: locali gay, spiagge meravigliose, hotel e anche saune. Propone il divertimento, senza però la calca e la confusione per alcuni soffocante di Ibiza o Mykonos. È la scelta ideale per chi possiede un animo tranquillo, ma vuole comunque ballare e conoscere persone nuove.La vita gay di TorremolinosIl fulcro del divertimento a Torremolinos per i gay è il quartiere de La Nogalera. Si trova in pieno centro città ed è ricco di hotel gay-friendly e locali. Vi basterà fare un giro tra queste strade, per trovare tutti i centri principali della vita notturna gay del posto. Il fulcro della vita gay di Torremolinos sono però la spiaggia e le saune.Sono tre le principali saune gay di Torremolinos: la Termasauna Miguel, la Sauna Atlas e l’Apolo Sauna Cabaret. 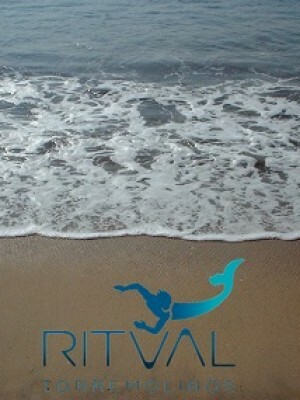 Offrono tutte e tre la possibilità di godersi un po’ di completo relax, affinché possiate prendervi cura di voi e tornare a casa più belli che maiTorremolinos Spiagge gayLa Costa del Sol ha miglia delle migliori spiagge, attirando un gran numero di visitatori ogni anno. 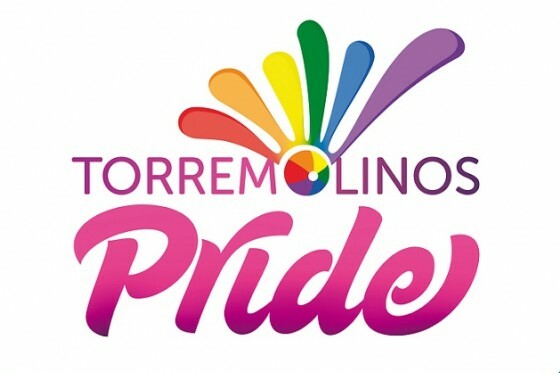 Qui ci sono le spiagge gay più popolari in questa regione del sud della Spagna.Le principali aree di spiaggia di Torremolinos si trovano sotto il centro della città e sono accessibili sia scendendo i gradini o utilizzando uno dei due ascensori a pagamento.Beirola / El Gato BeachLa zona della spiaggia gay di Torremolinos si trova sul Paseo Maritimo, davanti al famoso El Gato Lounge e Eden Beach Club. E 'quasi impossibile mancare a questo tratto di spiaggia con la sua bandiera arcobaleno e numerosi uomini gay che sfoggiano la loro abbronzatura.Lettini e ombrelloni sono disponibili a noleggio e l'El Gato Lounge offre una vasta gamma di prodotti alimentari (dalle tapas a hamburger) e long drink per tutto il giorno.